Jenny and Pakin’s wedding album design is ready! I had such a fun time designing this album. They had the brilliant idea to get married in Maui and have their reception at home. This album is just for the reception. 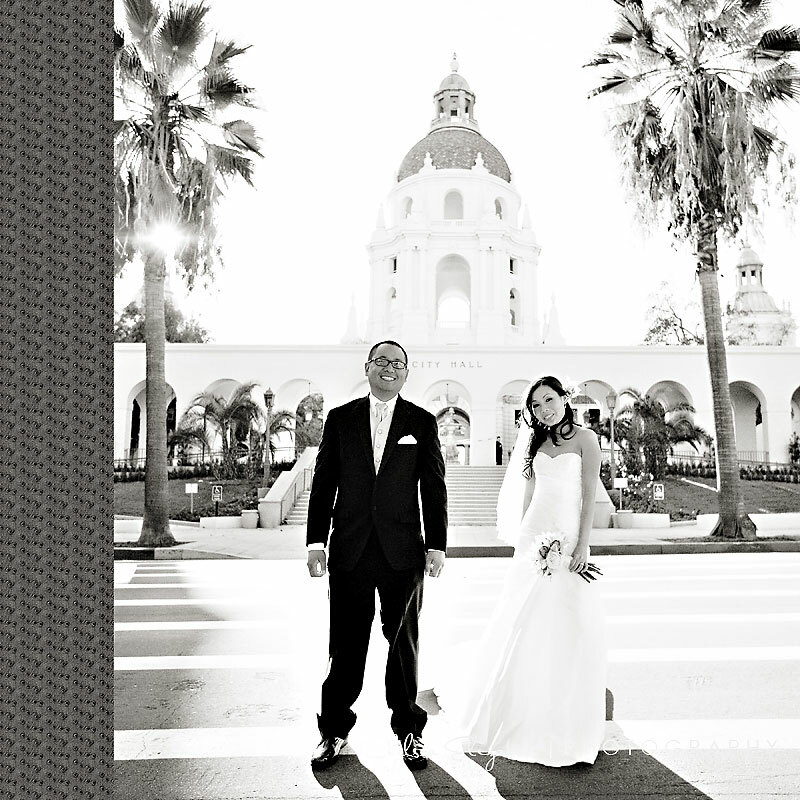 We did some amazing portraits at Pasadena City Hall and the headed over to 888 Seafood resturant for the reception. I love clean simple album design. No keylines or crazy colored backgrounds. Just something classic that will still look good 25 years from now. View more of Jenny and Pakin! Very fun cover! This cover is designed with a femme noir accent leather and the metal armour cover. I love the Armour covers! The accent leathers are AMAZING too! Here are the inside pages. Gorgeous design! I also heart finao!